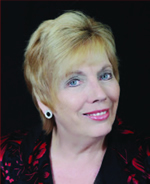 Susan Kline has worked with the small to medium-sized business in a variety of capacities since the early ‘80’s. From selling typewriter and computer ribbons to manual accounting systems, Susan began her career asking questions about operations and results. Her ultimate goal was providing her clients with efficiency in their accounting and a positive direction for their businesses. That experience segued into a print brokering business that began in May of 1990 and closed in December of 2008. The focus of that business was to bring her client’s businesses to the forefront of their market with effective, quality, marketing materials. The combination of those two experiences has brought Susan to where she is today in her ownership of The Brighton Buzz. Susan moved to Brighton in June of 2004, and decided to advertise in a small, monthly newsletter called The Brighton Buzz. After several months of advertising, Susan was approached to buy the existing business, and she immediately seized the opportunity to put her past experience and creativity to work to develop the publication. Not only has the publication become a thriving business, but, Susan’s involvement has given her the amazing ability to meet many of Brighton’s businesses and influential people. The knowledge gained from those meetings is at the very core of the publication’s mission and that’s to share with Brighton’s community and surrounding areas what’s available for them to enhance their lives in their own back yard. Her prior experience has given her the background to understand and work with her clients’ needs and give them good results for their investment in advertising. She considers each advertiser an important part of this valuable monthly resource for all of its readers. Growth and development of the magazine has been happening from its inception. Expect the distribution to increase and the creativity to drive its future. 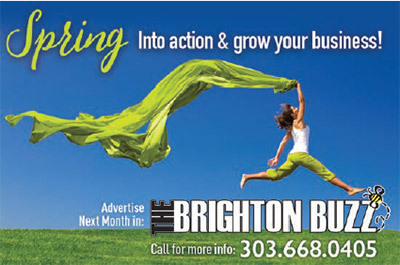 Everyone at The Brighton Buzz looks forward to what’s next and all of the possibilities.